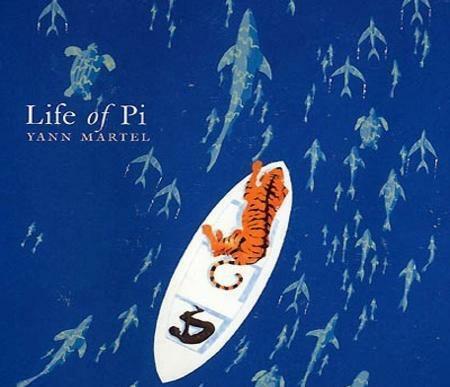 Yann Martel's imaginative and unforgettable Life of Pi is a magical reading experience, an endless blue expanse of storytelling about adventure, survival, and ultimately, faith. The precocious son of a zookeeper, 16-year-old Pi Patel is raised in Pondicherry, India, where he tries on various faiths for size, attracting "religions the way a dog attracts fleas." 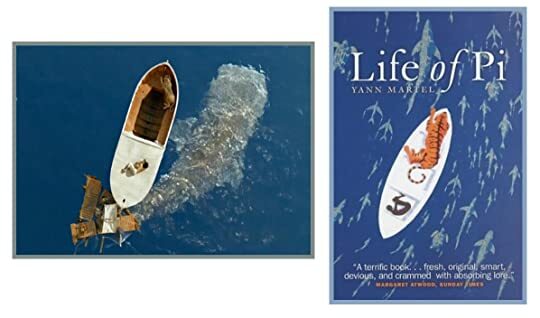 Planning a m Yann Martel's imaginative and unforgettable Life of Pi is a magical reading experience, an endless blue expanse of storytelling about adventure, survival, and ultimately, faith. The precocious son of a zookeeper, 16-year-old Pi Patel is raised in Pondicherry, India, where he tries on various faiths for size, attracting "religions the way a dog attracts fleas." Planning a move to Canada, his father packs up the family and their menagerie and they hitch a ride on an enormous freighter. After a harrowing shipwreck, Pi finds himself adrift in the Pacific Ocean, trapped on a 26-foot lifeboat with a wounded zebra, a spotted hyena, a seasick orangutan, and a 450-pound Bengal tiger named Richard Parker ("His head was the size and color of the lifebuoy, with teeth"). It sounds like a colorful setup, but these wild beasts don't burst into song as if co-starring in an anthropomorphized Disney feature. After much gore and infighting, Pi and Richard Parker remain the boat's sole passengers, drifting for 227 days through shark-infested waters while fighting hunger, the elements, and an overactive imagination. In rich, hallucinatory passages, Pi recounts the harrowing journey as the days blur together, elegantly cataloging the endless passage of time and his struggles to survive: "It is pointless to say that this or that night was the worst of my life. I have so many bad nights to choose from that I've made none the champion." To ask other readers questions about Life of Pi, please sign up. Why Pi will believe in three religions? Why the author will create this kind of character? It is not so much that The Life of Pi, is particularly moving (although it is). It isn’t even so much that it is written with language that is both delicate and sturdy all at once (which it is, as well). And it’s certainly not that Yann Martel’s vision filled passages are so precise that you begin to feel the salt water on your skin (even though they are). It is that, like Bohjalian and Byatt and all of the great Houdini’s of the literary world, in the last few moments of your journey – after yo It is not so much that The Life of Pi, is particularly moving (although it is). It isn’t even so much that it is written with language that is both delicate and sturdy all at once (which it is, as well). And it’s certainly not that Yann Martel’s vision filled passages are so precise that you begin to feel the salt water on your skin (even though they are). It is that, like Bohjalian and Byatt and all of the great Houdini’s of the literary world, in the last few moments of your journey – after you’ve felt the emotions, endured the moments of heartache, yearned for the resolution of the characters’ struggle – that you realize the book is not what you thought it was. The story transforms, instantly, and forever. And in those last few chapters, you suddenly realize that the moral has changed as well. You feel Martel’s words lingering, suggesting, and you find yourself wondering whether you are his atheist who takes the deathbed leap of faith – hoping for white light and love? Or the agnostic who , in trying to stay true to his reasonable self, explains the mysteries of life and death in only scientific terms, lacking imagination to the end, and, essentially, missing the better story? 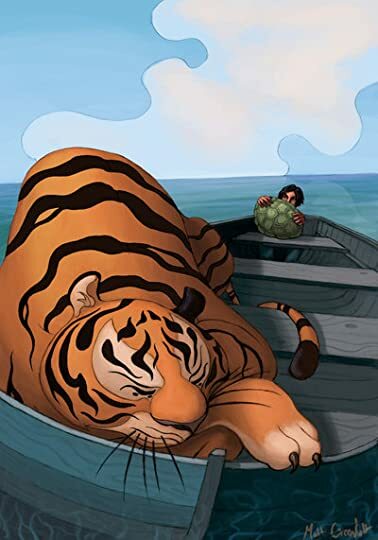 There is no use in trying to provide a brief synopsis for this ravishing tale of a young boy from India left adrift in the Pacific in a lifeboat with a tiger who used to reside in his father’s zoo in Pondicherry. There is no use because once you finish the book you might decide that this was not, indeed, what the book was about at all. There is no use because, depending on your philosophical bent, the book will mean something very different to your best friend than it will to you. There is no use because it is nearly impossible to describe what makes this book so grand. Read this book. Not because it is an exceptional piece of literary talent. It is, of course. But there are many good authors and many good books. While uncommon, they are not endangered. Read this book because in recent memory - aside from Jose Saramago’s arresting Blindness – there have been no stories which make such grand statements with such few elements. As Pi says in his story “Life on a lifeboat isn’t much of a life. It is like an end game in chess, a game with few pieces. The elements couldn’t be more simple, nor the stakes higher.” It is the same with Martel’s undulating fable of a book about a boy in a boat with a tiger. A simple story with potentially life altering consequences for it’s readers. As Martel writes, "The world isn't just the way it is. It is how we understand it, no? And in understanding something, we bring something to it, no?" Like Schroedinger's cat in the box, the way this book is understood, the way it is perceived affects what it is. There has been some talk that this book will make it’s readers believe in god. I think it’s a question of perspective. To behold this gem of a novel as an adventure of man against the elements (the “dry, yeastless factuality” of what actually happened) is certainly one way to go about it. But to understand this piece to be something indescribable, something godlike, is by far the greater leap of faith. Oh, but worth the leap, if the reader is like that atheist, willing to see the better story. LITTLE INDIAN BOY GOES ON WEIRD BOAT RIDE WITH MEAN CAT. I found a lot of this book incredibly tedious. I tend to avoid the winners of the Man / Booker – they make me a little depressed. The only Carey I haven’t liked won the Booker (Oscar and Lucinda), I really didn’t like the little bit of Vernon God Little I read and I never finished The Sea despite really liking Banville’s writing. So, being told a book is a winner of the Booker tends to be a mark against it from the start, unfortunately. I’m going to have to assume you have read this book, as if I I found a lot of this book incredibly tedious. I tend to avoid the winners of the Man / Booker – they make me a little depressed. The only Carey I haven’t liked won the Booker (Oscar and Lucinda), I really didn’t like the little bit of Vernon God Little I read and I never finished The Sea despite really liking Banville’s writing. So, being told a book is a winner of the Booker tends to be a mark against it from the start, unfortunately. I’m going to have to assume you have read this book, as if I don’t I won’t be able to say anything about it at all. Apparently, when Yann Martel wrote this he was feeling a bit down and this was his way of plucking himself up. Well, good on him. That’s just great. I was a little annoyed when I found out that the person the book is dedicated to had also written a story about a man in a boat with a wild cat and had considered suing for plagiarism. The book is written by a member of that class of people who are my least favourite; a religious person who cannot conceive of someone not being religious. There is some fluff at the start in which atheism is ‘discussed’ (read, discarded) as something people inevitably give up on with their dying breath. But the religious are generally terribly arrogant, so it is best not to feel insulted by their endless insults – they know not what they do. Parts of this were so badly over written that it was almost enough to make me stop reading. The bit where he is opening his first can of water is a case in point. This takes so long and is so incidental to the story and written in such a cutesy way that I started to pray the boat would sink, the tiger would get him … I would even have accepted God smiting him at this point as a valid plotting point, even if (or particularly because) it would bring the story to an abrupt end. This is a book told as two possible stories of how a young man survives for 227 days floating across the Pacific Ocean told in 100 chapters. That was the other thing that I found annoying – much is made of the fact this story is told in 100 chapters – but I could not feel any necessity for many of the chapters. Just as I could not feel any necessity for the Italic voice that sounded like Tom Waits doing, “What is he building in there?” Well, except to introduce us again to Pi some number of years later. You know, in Invisible Cities Calvino has necessary chapters – this book just has 100 chapters. It was something that annoyed me from early on in the book – that the chapters seemed far too arbitrary and pointing it out at the end just made me more irritated. There may well be some Hindu reason for 100 chapters – but like Jesus ticking off the ancient prophecies on his way to martyrdom, I still couldn’t see why these chapters were needed in themselves. Pi is the central character in the book who, for some odd reason, is named after a swimming pool – I started playing with the ideas of swimming pools and oceans in my head to see where that might lead, but got bored. He is an active, practicing member of three of the world’s major religions. There is a joke in the early part of the book about him possibly becoming Jewish (ha ha – or perhaps I should draw a smiley face?). The only religion missing entirely from the book is Buddhism. Well, when I say entirely, it is interesting that it is a Japanese ship that sinks and that the people Pi tells his story to are Japanese engineers. I’ve known Hindus who consider Buddhists to be little more than dirty, filthy atheists – so perhaps that is one reason why these Japanese engineers are treated with such contempt at the end of the book. The Japanese make the connections between the two stories – but we can assume that they stuff up these connections. While it is clear the French Cook is the hyena, Pi’s mum is the orang-utang, and the Asian gentleman is the zebra, I’m not convinced Pi is meant to be the tiger. In fact, the one constant (that’s a pun, by the way, you are supposed to be laughing) in both stories in Pi. My interpretation is that the tiger is actually God. Angry, jealous, vicious, hard to appease, arbitrary and something that takes up lots of time when you have better things to do – sounds like God to me. The last little bit of the book has Pi asking which is the better story- the one with animals or the one he tells with people. I mean, this is an unfair competition – he has spent chapter after chapter telling the animal story and only the last couple telling the people story. The point of this, though, is Pascal’s wager said anew. If we can never really know if there is no god and it ultimately makes no difference if we tell the story with him or without him in it, but if the story is more beautiful with him in it – then why not just accept him in the story and be damned. Well, because the story isn’t improved with the animals and life isn’t just a story and kid’s stories are great sometimes, but I often like adult stories at least as much – and sometimes even more. This is yet another person all alone survival story, but one I don’t feel that was handled as well as it could have been – mostly because the writer had an ideological message that he felt was more important than the story – never a good sign. Worse still, in the end I really couldn’t care less about Pi – I knew he was going to survive and knew it would be ‘because of’ his faith. He does talk about Jesus’ most petulant moment with the fig tree – so I was quite impressed that rated a mention – but, all the same, I haven’t been converted to any or all of the world religions discussed in this book. Compare this tale with the bit out of A History of the World in Ten and a Half Chapters about the painting – I know, it is not a fair comparison, Barnes is a god, but I’ve made it anyway. I didn’t really enjoy this book, I felt it tried too hard and didn’t quite make it. But Christians will love it – oh yeah – Christians will definitely love it. It's not that it was bad, it's just that I wish the tiger had eaten him so the story wouldn't exist. I read half of it, and felt really impatient the whole time, skipping whole pages, and then I realized that I didn't have to keep going, which is as spiritual a moment as I could hope to get from this book. On the Danish cover it says "Pi's Liv" (Pi's Life), but I hadn't noticed the apostrophe, so I thought it said "Pis Liv" (Piss Life) and I thought that was an interesting title at least, so perhaps I should give it a go. So I did. And... what I read was not at all what I had expected (I thought it was a book about a boy in the Indian slums or something). It actually wasn't until I looked up the book in English I realized the title wasn't "Piss Life". I was deceived for the longest time and, well, not only about this. When I first read it I also thought it was based on a true story. I'm not sure why I thought that, I must have misread something (I vaguely recall thinking the prologue was instead an introduction). It was a sad (and ehm, slightly humiliating) day when I discovered the truth lay elsewhere. I guess your romantic beliefs must die someday, and that was the day for me. 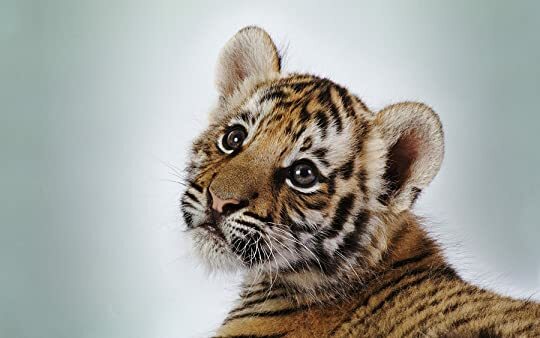 See, it's easier to believe in the world and be optimistic about it, when you also believe that world capable of containing a boy and a tiger co-existing on a lifeboat for 7 months and surviving. The truth is this book probably changed my life, not in any grand, extraordinary way. But with the small things, the small observations. Like how he was afraid to run out of paper, to document his days in the lifeboat, and instead he ran out of ink. Like how he chose to embrace three religions, not just one. This book, and Pi especially, represent and embody a way of life that I admire. It's not about believing in God, but about what it takes to believe in something, anything really. Yourself, the world, goodness, life, God. Sift a pinch of psychology with a scant tablespoon of theology, add one part Island of the Blue Dolphin with two parts philosophy, mix with a pastry blender or the back of a fork until crumbly but not dry and there you have Pi and his lame-o, cheesed out, boat ride to enlightenment. Actually I liked the beginning of this book- loved Pi's decleration and re-naming of himself, his adding religions like daisy's to a chain, and was really diggin on the family as a whole and then....then, then, then Sift a pinch of psychology with a scant tablespoon of theology, add one part Island of the Blue Dolphin with two parts philosophy, mix with a pastry blender or the back of a fork until crumbly but not dry and there you have Pi and his lame-o, cheesed out, boat ride to enlightenment. Actually I liked the beginning of this book- loved Pi's decleration and re-naming of himself, his adding religions like daisy's to a chain, and was really diggin on the family as a whole and then....then, then, then the tarpaulin. a). cookies work wonders in assuaging heated arguments. b). Tiger turds do NOT taste good, no mater how hungry you are and hold absolutely no nutritional value (actualy this might apply only to turds obtained from tigers that have been floating on rafts for several weeks/months? I think I'll apply it as a general rule). I wanted to like this book more - I loved the cover and then there's that little golden seal that keeps going psst, psst, you don't get it - it's waaaay deep, you missed the whole point. But I think no, I got the point, like a 2 by 4 to the forehead I got the dang point! What I lack in spelling, this author lacks in subtlty. I felt like the ending was a study guide/cliff notes pamphlet/wikepedia entry all in one. It's all like - Why do we keep going on and on about religion? Where's the boat? Where's the tiger? Stop and enjoy the roses. The book will get to the tiger part when it wants to. Young Pi ( Piscine "Pi" Patel ) spends the first part of the book joining the Christian, Muslim and Hindu faiths. It's not a matter of he can't choose a religion - it's that he is able simultaneously believe in all of them. The philosophical musings and religious prose provide an extremely inter The beginning is rough. If Christ spent an anguished night in prayer, if He burst out from the Cross, 'My God, my God, why have you forsaken me?' then surely we are also permitted doubt. But we must move on. To choose doubt as a philosophy of life is akin to choosing immobility as a means of transportation. And then...you get to the tiger part! Pi Patel's life quickly shifts from one of religious philosophy and animal care (at his family's zoo) to one of great uncertainty. His family is closing their Indian zoo and they need to travel by boat to a new county. Whatever animals they couldn't sell or trade are on the ship. The ship is capsizing and it looks like neither human nor animal will make it out alive. Soon, Pi finds himself on a lifeboat with a menagerie of animals and within an adventure he will surely never forget. Dare I say I miss him? I do. I miss him. I still see him in my dreams. They are nightmares mostly, but nightmares tinged with love. Such is the strangeness of the human heart. (view spoiler)[Was I the only one who was upset with the ending? I was so mad that we were given the two scenarios at the end of the story. It was like the rug was being pulled out from under me. According to Pi, either we are to believe the tiger adventure happened or it was the alternate version: cannibalism and watching his family die in the boat. Four stars because I have a selective memory and overall enjoyed the book. This review has been hidden because it contains spoilers. To view it, click here. 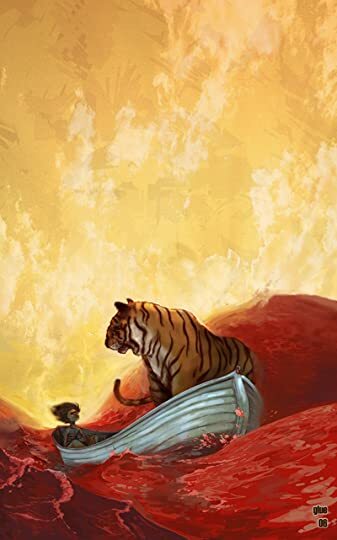 Life of Pi was a fairly engaging story in terms of plot and character, but what made it such a memorable book, for me at least, was its thematic concerns. Is it a "story that will make you believe in God," as Pi claims? I'm not sure I'd go that far, but I would recommend it to people who enjoy thinking about the nature of reality and the role of faith in our lives. To me, the entire thrust of the book is the idea that reality is a story, and therefore we can choose our own story (as the author h Life of Pi was a fairly engaging story in terms of plot and character, but what made it such a memorable book, for me at least, was its thematic concerns. Is it a "story that will make you believe in God," as Pi claims? I'm not sure I'd go that far, but I would recommend it to people who enjoy thinking about the nature of reality and the role of faith in our lives. To me, the entire thrust of the book is the idea that reality is a story, and therefore we can choose our own story (as the author himself puts it). So if life is a story, we have two basic choices: we can limit ourselves only to what we can know for sure - that is, to "dry, yeastless factuality" - or we can choose "the better story." I suppose in Pi's world the "better story" includes God, but he doesn't say this is the only meaningful possibility. In fact, Pi calls atheists his "brothers and sisters of a different faith," because, like Pi, atheists "go as far as the legs of reason will carry them - and then they leap." Pi's point, in my opinion, is that human experience always involves interpretation, that our knowledge is necessarily limited, that both religious belief and atheism require a leap of faith of one kind or another - after all, there's so little we can know for sure. For Pi, then, we shouldn't limit ourselves only to beliefs that can be proven empirically. Instead, we should make choices that bring meaning and richness to our lives; we should exercise faith and strive for ideals (whatever the object of our faith and whatever those ideals might be). Or, as Pi says in taking a shot at agnosticism: "To choose doubt as a philosophy of life is akin to choosing immobility as a means of transportation." In the end, however, I didn't necessarily read this book as an invitation to believe in God. Instead, I saw it as a mirror held up to the reader, a test to see what kind of worldview the reader holds. That is, as Pi himself says, since "it makes no factual difference to you and you can't prove the question either way, which story do you prefer? Which is the better story, the story with the animals or the story without the animals?" Or, as I took it: Is it my nature to reach for and believe the better but less likely story? Or do I tend to believe the more likely but less lovely story? What view of reality do I generally hold? Another equally important question is this: How did I come by my view of reality? Do I view the world primarily through the lens of reason? Or do I view it through the lens of emotion? For Pi, I think it's safe to say his belief comes by way of emotion. He has, as one reviewer noted, a certain skepticism about reason (in fact, Pi calls it "fool's gold for the bright"). Pi also has what I would call a subtle but real basis for his belief in God, namely, "an intellect confounded yet a trusting sense of presence and ultimate purpose." But belief still isn't easy for him. Despite his trusting sense of purpose, Pi acknowledges that "Love is hard to believe, ask any lover. Life is hard to believe, ask any scientist. God is hard to believe, ask any believer." So it's not that a life of faith is easier, in Pi's opinion, it's that for him belief is ultimately more worthwhile. This is not to say, however, that Pi holds a thoroughly postmodern view of God or that he believes as a matter of art rather than in a sincere way. True, Pi suggests that whether you believe his story had a tiger in it is also a reflection of your ability to believe in something higher. And of course it's easy to read Pi's entire story as an attempt to put an acceptable gloss on a horrific experience. Still, there are a number of clues throughout the book that give the reader at least some reason to believe Pi's story did have a tiger in it (for instance, the floating banana and the meerkat bones). As such, Pi's two stories could be seen as an acknowledgement that both atheism and belief in God require some faith, and therefore it's up to each of us to choose the way of life that makes us the happiest. He's not necessarily saying that the truth is what you make it, he's saying we don't have unadulterated access to the truth: our imagination, personalities, and experiences unavoidably influence the way we interact with the world. But that's not the same as saying whatever we imagine is true. I think Pi, for instance, knows which of his stories is true. It's not Pi but the reader who is left with uncertainty and who therefore has to throw her hands up and say "I don't know," or else choose one story or the other. And to me, this isn't too far off from the predicament we all find ourselves in. I read this book two years ago, but when we discussed it this month for book club, I remembered how much I liked it. A good discussion always ups my appreciation of a novel as does an ending that makes me requestion my givens in the story. I find myself reading contradictory interpretations and agreeing with both sides. That's the beauty of symbolism: as long as you back up your cause, it's plausible. Initially it took me several weeks to get into the book. The beginning reads more like a textboo I read this book two years ago, but when we discussed it this month for book club, I remembered how much I liked it. A good discussion always ups my appreciation of a novel as does an ending that makes me requestion my givens in the story. I find myself reading contradictory interpretations and agreeing with both sides. That's the beauty of symbolism: as long as you back up your cause, it's plausible. Initially it took me several weeks to get into the book. The beginning reads more like a textbook with inserted clips of the main character's future self. While the knowledge I gained about zoology and theology was interesting, it wasn't intriguing enough to keep me awake for more than a few pages at a time and often I found the tidbits a confusing distraction. But with distance I enjoyed the backdrop information it offered. If you're struggling through the initial background, jump ahead to the second section. Yeah it's important, but it's not vital. And maybe once you've read the story you'll want to come back and appreciate his analysis. I highly enjoyed this strange journey at sea and found it almost believable--until the castaways encounter the island at which point I wondered how much of his sanity wavered. Being shipwreck is one of a plethora of phobias I have. Throw on top my even stronger fear of tigers and this was a story straight out of a nightmare, one that kept me intrigued for a resolution. How could a boy keep the upper hand shipwrecked with a tiger? I had a picture in my head of Pi clinging to the side of the boat to avoid both the salty water infested with sharks and a foodless boat housing a hungry carnivore. I found myself stuck in the unusual place where as a reader I find a story plausible with full knowledge that had this story been presented in real life I would have doubted its authenticity. I wanted to believe the story and all its fantasy. The end initially annoyed me, but if you look at the rich metaphors in the story, it becomes delectable for a story analyst like me. There is nothing I enjoy more than tearing apart a story and pulling out the intentions and symbols buried inside. Instead of just a fantastical story, you find a fable with a moral. 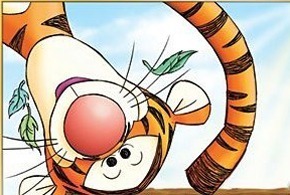 (view spoiler)[I want to reread the story now and analyze Richard Parker as Pi's alter ego, seeing that alpha and omega struggle as an internal one. Even the name Richard Parker is a hint at cannibalistic roots since it is the true account of a sailor who died at the hands of his cannibalistic crew members. I keep going back to that moment when Pi calls for Richard Parker to join him on the ship and then is appalled at what he has done. Once Richard Parker has joined his voyage, there is no banishing him. If they are one and the same, they beautifully represent that internal battle between the civilized vegetarian and the animalistic instinct to survive, showing the compartmentalization he needed to prevent madness. You would not expect the small boy to conquer the beast (whether animal or himself), and yet he keeps the upper hand for an unimaginable 227 days. Had the cannibal overrun his pysche, he would have lost his battle and landed a madman. When the duo landed on the beaches of Mexico, Richard Parker took off, never to be noted by civilians again, but alive and surviving. Thus the horror of the incident will always live in Pi's memory but he chooses to repress it as it has no part in civilization. I enjoyed the portrayal of the characters on the boat as animals. I could envision the quiet maternal sadness the orangutan gave his mother. Since the crew would be blamed for the demise of the ship, the wounded sailor as the zebra lying as prey to a demented and angry foreign chef who is just as crazy as we view the viscous hyena. The symbols were perfect and I think a second read would bring out their traits even stronger. Some of the richest symbolism comes from the cannibal island and sailor. I think Pi's childlike mind could not deal with the cannibalism of a loved one and lets this theme leak into other story elements. The blind sailor is a second portrayal of the French chef, a character too big and conflicting to fit into one projection. At first he is the mean animal thinking only of his own survival, but as the journey progresses, Pi is conflicted with his friendship for the man. A bond is bound to happen between the only two survivors in limited space and Pi could not come to terms with his human feelings for the barbaric man. So he invents a second character, one whom he can make human, worthy of connection, but in the end is still untrustworthy and Pi must kill or be killed. So what of the strange island? In his hallucinating state, it serves as a mirage where life is not as sweet as he suspected. The island parallels his own problems at sea with rich religious symbolism of the Garden of Eden. No matter what one's ethical code, the will to survive trumps one's moral haven. These vegetarians (person and island) don't want to harm, but are killing to survive. Something happened out at sea that his waning mind (and blindness both real and spiritual) could not substantiate and like all else he twisted it to a socially accepted tale. Since the island is discovered just after the sailor dies, maybe finding one of the chef's tooth on board turned him. Or maybe Pi happened upon a pile of garbage infested with rats and this boy, starving and demented enough to have tried his own waste, sees it as a heaven. His civilized nature knew he should scorn the filth but his barbaric needs were grateful for the nasty feast. The bones in the boat, proof that his experience was real, could have been rat bones. Whatever the cause of his epiphany, he had to enter the depths of his own personal hell to realize this was not a heaven, or Garden of Eden, and a return to civilized behavior was vital for his own survival. 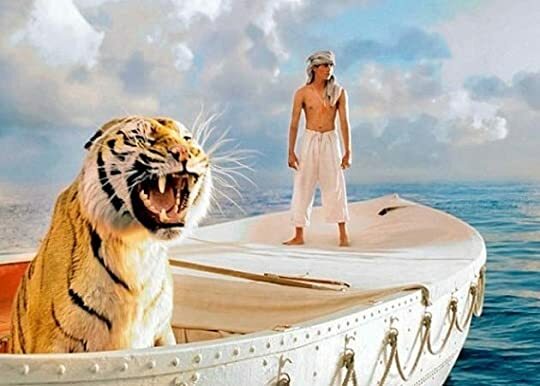 Richard Parker was winning as he felt completely detached from civilization. He almost wished to stay and die at sea, to live at a level of base survival, instead of have to emotionally deal with his ordeal to progress. But his innate need to survive wins out as he realizes that as the lone castaway if he does not fight his mind's descent into madness, the sea will eat him mentally and literally. One of my favorite interpretations of the island is a religious fork in the road. Whatever truly happened, the island cements your belief in the first or second account. Either you see the meerkat remains as proof that the beauty of the first story is true or the island is the point at which you start questioning the credence of his tale and believe he threw in this unbelievable turn of events to ready you to accept his alternate ending. As readers we are given the choice between two stories. We can pick the miraculous version of the first story, an icon of those who believe in God, or we can pick the grim atheist view of the pessimistic--although reasonable--second story, as do those who believe science disproofs God. In section one, Pi references religion to not only show where his beliefs give him strength but to give backbone to the religious allegory. He shows disdain for the indecisive agnostic (see quotes below) and bids you chose your path. The island serves to question your own religious devotion, but you have to pick what you think it represents, which story you care to believe. Pi states this is a story that makes you believe in God. As a believer in God and the second story, I don't think there is merely an atheist interpretation to the second. Either you accept God with a leap of faith despite dissenting controversy or you take the bleak realism and see God saved him from death at sea and even more protected him from mental anguish by healing his soul from the horrors he experienced. Both stories can justify the belief in God or justify your belief in nothing. Just as I don't believe people who buy the second story are atheists, I do not believe people who chose the first story follow blindly or idiotically. It's a matter of interpretation. The story isn't going to make you believe or disbelieve God anymore than you now do. "Life is so beautiful that death has fallen in love with it, a jealous, possessive love that grabs at what it can." "It was my luck to have a few good teachers in my youth, men and women who came into my dark head and lit a match." "Doubt is useful for a while...But we must move on. To choose doubt as a philosophy of life is akin to choosing immobility as a means of transportation." "All living things contain a measure of madness that moves them in strange, sometimes inexplicable ways." "Memory is an ocean and he bobs on the surface." "First wonder goes deepest; wonder after that fits in the impression made by the first." On the surface Life of Pi is a funny little book, heart-warming and audacious, but dig a little deeper and you’ll see how complex the story actually is. "I know what you want. You want a story that won't surprise you. That will confirm what you already know. 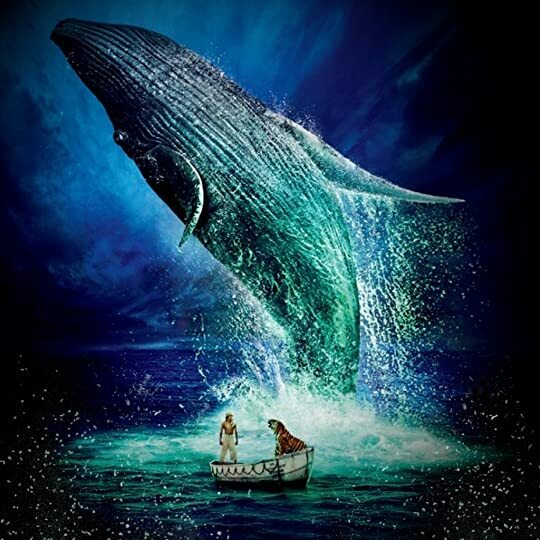 That won't make you se On the surface Life of Pi is a funny little book, heart-warming and audacious, but dig a little deeper and you’ll see how complex the story actually is. Such an assertion questions the truth of fiction. The details aren’t important. Change but a few of them and the journey Pi goes on remains the same. It does not matter if he was trapped on the boat with a bunch of zoo animals or people that reflected the animals in his life, the story remains the same: the truth is not changed. Belief is stretched to absolute breaking point and sometimes it needs to be with a story like this. And such a thing harkens to the religious ideas Pi holds. He practices several religions believing they all serve the same purpose. This never wavers despite the violent and desperate times he eventually faces. And I really did appreciate this idea; it demonstrates unity in a world divided over matters of faith when it should not be. Again, are the details really that important? To a religious zealot such a thing boarders on blasphemy, though the harmony of such an idea speaks for itself in this book. Zoos are also described as places of wonderment for animals rich in safety and easy living, which can be true in some cases, though the horrors of bad commercial zoos and the cruelty and exploitation that go with them are completely ignored. For me, this is not a point that can be overlooked in such fiction or in life. To do so is somewhat naïve no matter the good intentions of Pi. I loved this book! I watched the film before reading the book and I loved both of them. I enjoy short chapters so this was good for me. Best scene was the 3 religious men arguing about Pi's religion. Found it really smartly done and funny. It's One big journey into the Pacific Ocean. Just you ,an Indian small boy and a royal Bengal Tiger. But before you're thrown to that small life boat into the wide ocean...you learn so much about your companion Indian boy.. his curiosity about Life, the Creator, Ultimate Reality, Brahman, God ,Allah..
Little Pi picked the best and the greatest manners of every religion ; Hinduism,Christianity, and Islam..
His life in the quite Indian small city 'Pondicherry' which was -for me- the best part of the book with its spiritual events, the zoo beautifully,amazingly colorful illustrated by words described in the first Part of the novel. But That was calm before the storm and the events of the Part 2 where you stick at that boat with them as I've said before.. So hard those 227,boring sometimes, bit disgusting but most of the time thrilling and exciting.. Into a wondrous ocean.. amazing life, tense with a wild tiger..fear and love...and searching for the Mercy of God..
Then the final part...and the Hardest ever....and it make u think ....and believe if you think by your heart and soul..
A Twist like no other...and a very great raw conclusion for this very spiritual journey. The Movie Vs The Novel..
Well it may be the first time that I can't say which was better the movie or the novel.. The thing is the movie was stronger in some points "of course the visual effect and cinematography was BRILLIANT , a true piece of art" but otherwise it missed some important spirit of the novel..
**The journey at the ocean was less boring as the book and successful removed the very brutal and disgusting parts that filled that part at the book. but otherwise it's almost the same. 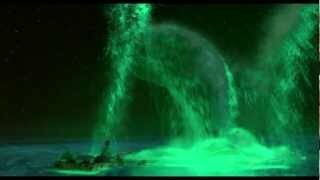 11-1-2013 "The Movie is amazing... so deep and visually amazing. Can't wait to read the book"
and sometimes stories are so beautiful that souls have fallen in a love with them - a tender, quiet love that nurtures what it can. its a story that will always have a special place in my heart. its one of the only books that has ever made me re-evaluate my beliefs on faith, it helped me further realise the impact and importance of the connection between humans and animals, and it planted a seed of hope that life can be beautiful, even in the most harrowing of circumstances. this is the kind of story that will always teach life lessons, no matter at which age you read it and regardless of the amount of re-reads. you will always walk away from this book having learnt something new about life, the world, and about yourself. it is truly one of the most beautiful stories i have ever had the privilege of reading. We have all heard the phrase ‘you can’t judge a book by it’s cover.’ While this is a good life lesson, especially when taken as a metaphor that extends beyond books and into people, places, foods, etc., sometimes the cover of a novel is very telling of what lies within. Yann Martel’s Life of Pi wears it’s heart on it’s sleeve. A quick glance at the cover shows the overzealous stamp of ‘Winner of the Man Booker Prize’, INTERNATIONAL BESTSELLER, the indication that, yes, this is ‘A Novel’, and an image that both depicts the major plot point of the novel, thus spoiling the surprise of who Richard Parker really is. All this praise lauded upon the cover is instantly telling that this is a novel that has reached a wide audience, and is most likely aimed towards wide critical acclaim. That is all fine, and bravo to Mr. Martel for being able to leave his mark on the bestseller list, something I can only imagine in my wildest of wildest dreams, but sometimes when reaching for a large audience you have to elbow out a small percentage of readers. I am that small percentage that was elbowed out by Martel’s attempt to make an accessible novel that will touch the reader on a spiritual level. This is a difficult novel to review as, firstly, I did enjoy reading the book. I gave in to reading this book that I have been purposely avoiding after reading the excellent review from mi Hermana. I had a lot of fun discussing this book with her, texting her my shocks and suprises in the plot, and discussing the book in several threads with fellow Goodreaders. As anyone can see with a quick glance at the overall ratings, this book seems to really strike a chord in many readers, yet also brings a large crowd of dissenters. While I did extract a good deal of pleasure from the novel, it just didn’t sit well with me at the same time. In all fairness to the novel, and to my usual reading list, I have to dissect this book with the same views of novels that I would any other. This begs the question as to ‘why do we read?’, and this reason differs from person to person much like each persons meaning of life – a theme explored in Pi. Life of Pi was a pleasurable read that suffered from a heavy-handed serving of morality. While Martel delivers one charming phrase after the next with a graceful flow, he would have greatly benefited from a touch of subtlety. All to often, Martel would draw conclusions for the reader. A prime example occurs in the first few pages when Pi’s science teacher visits the Zoo (a zoo that he does not hold back from explaining how it serves as a metaphor for humanity), and calls out the name of well-known scientists whose studies pertain to the activities of the animals he is currently viewing. Martel spoils the moment by explaining that Mr. Kumar liked to prove to himself ‘that everything was order’. It felt as if Martel didn’t believe his readers could connect the dot. Even more obscure ideas are spoiled in such a manner. 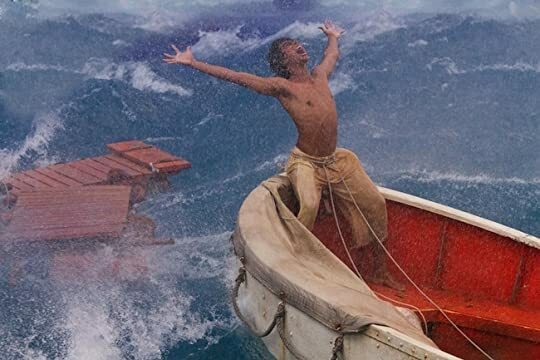 When a rain of flying fish saves Pi and Richard Parker from certain hunger, he thanks Vishnu saying ‘once you saved the world by taking the form of a fish. Now you have saved me by taking the form of a fish’. While I would not have made this connection, it ruins that ‘ah-ha!’ moment for those that do. It is that special moment of understanding an allusion in literature that keeps me reading a wide variety of texts, and it seems insulting to have someone to make connections without giving you an opportunity. Even at the very end, in his shocking twist of an ending (I must profess this novel has an incredible conclusion), the two Chinese men literally draw the connections for you saying something to the effect of ‘oh, this is this and that means that…’. This all seems to be Martel’s way of making sure his message gets heard, and is able to reach everyone. It is a noble goal, and it gets people who do not typically read to like and enjoy a book, so I cannot necessarily knock him for it as that was his goal, but this is all to my chagrin. ‘It's important in life to conclude things properly,’ Pi explains, ‘only then can you let go. Otherwise you are left with words you should have said but never did, and your heart is heavy with remorse’. The question now is, does Martel conclude things properly? I personally loved the conclusion to this book. He successfully pulls the rug out from under the reader and exposes the real message behind the book. Without spoiling anything, this novel makes a good statement on the powers of storytelling with both a fun plot device and well crafted statements such as ‘that's what fiction is about, isn't it, the selective transforming of reality? The twisting of it to bring out its essence?’ Had he left it at that, it would have been wonderful and allowed for mass interpretability and the reader could have easily connected it to spirituality. However, Martel forces the connection to religion down the reader’s throat. The whole beginning section of the novel, which details Pi’s exploration of various religions, seems irrelevant for the majority the novel. Occasionally he will pray or include some stunning statements on the beauty of life and the grace of God/gods, but it seems to have been only there to make sure you were looking for the religious metaphors in the plot and comes across as Martel with a death grip on the readers head, jerking it back and forth shouting ‘look here! Notice that! Remember what we talked about! ?’ While much of the focus on spirituality was well done, it was far too heavy-handed and led to a rather narrow interpretation on the ending. My major concern is that Martel only gave us what he thought the reader would want, making quotes such as ‘ I know what you want. You want a story that won’t surprise you. That will confirm what you already know. That won’t make you see higher or further or differently,’ seem like he wasn’t being as ironic with the ending as he hoped it would be. While the conclusion comes out as ‘bet you didn’t see that coming’, it really doesn’t say anything that hasn’t been said before. The novel is heralded as being an affirmation of faith, and that’s exactly what it is, an affirmation. It isn’t going to challenge your beliefs, although he does an excellent job allowing different religious figures to challenge the differences in belief of one another even if it is the same concepts anyone would learn in a 100 level humanities course; it isn’t going to convert any readers to a life of devotion; it only provides a blanket and a comfort to those that already believe. Which, once again, is not a bad thing, if that is what you are looking for. It reminded me of something a professor once told me in a World Religions course. He described church as something that, and this is his opinion, is a crutch for those who needed it. He compared the obligation to attend to telling a girlfriend you only hang out with them because you feel you have to and are obligated to. While his opinion is a bit harsh and easily offensive, what he was really trying to say is you should believe because you want to, not because you have to. Martel makes it seem like you have to believe in these things, and I see why that makes this book hard to swallow for someone who doesn’t. Once again, in hopes to reassure and reach a large audience, Martel rudely elbows out the remainder. However, I really feel uncomfortable discussing beliefs on the open seas of the internet, and I really hope nothing said here offends you as that is not my intention. Please understand I am only speaking in relevance to my thoughts on a book, not on religion. The insistence of Martel to wrap a cool concept with spirituality is a major reason why it is so difficult to talk about this book. It is hard to separate the two ideas, but I’m doing my best to keep this focused on the literary aspects. I’m getting too self-conscious! The whole point here is that a lot of what Martel says has been said before, better, and with more willingness to evoke a change in the reader. All that said, there is a lot that I truly enjoyed about this book. If you push all the aforementioned details aside, this was a wild ride. This made me want to visit zoos and hug a tiger. 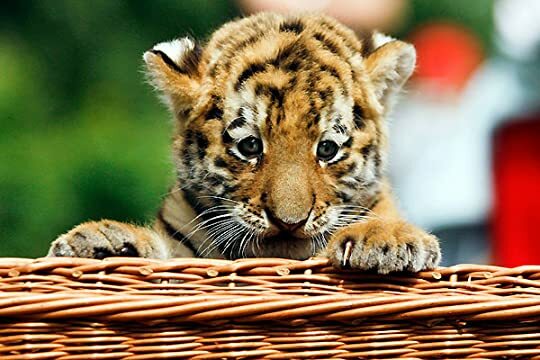 Look how cute this tiger is: Tell me you don’t want to hug that! I really enjoyed the wealth of zoological knowledge Martel bestows upon the reader, and his insistence on seeming ‘realistic’ with his animals. After reading this book, you will know why you should never, ever try to hug a tiger or take a wild animal for granted. He makes an interesting point how we force cute cuddly animal toys on children and make them think they are some domestic pet. While this is used as an excellent point that humans are the villain, which is easily slotted into the religious issues as an explanation that it isn’t religion that causes violence but the people abusing the rhetoric, it does seem ironically opposed to his final statement of how religion glosses over the grimy, difficult to handle details of life and makes it easier to handle. Are cute cuddly animal toys then religion? This novel is a very positive message to the world, and anything promoting peace and harmony can’t be all that bad. I enjoyed statements such as ‘ If there's only one nation in the sky, shouldn't all passports be valid for it?’, which is an important idea considering the violence that takes place around the world. I also enjoyed how the animal story is also chock full of scientific facts and details, which fuses the idea of religion and science together instead of showing them as opposites. Thre were some symbolism, the ones he left untainted by a forced explanation, that really struck me. The tiger itself is open for many views, either as God, Pi, or life itself - something we must face and tame lest it destroy us. However, could it be the killer inside us all, an urge and animalistic force we must keep in check in order to exist in a civilized society? In a way, I felt that the ending could almost be an attack on religion, showing it as nothing more than a pretty way of viewing a world as ugly as our own. I felt that the tarpauline served as a similar symbol. It was a feeling of security, something to stand on, but underneath was the violent truth of a deadly tiger. Perhaps it was our personal sense of security which is actually just thin and flimsy. When Martel doesn't slap us with his meaning, it is quite good. I was simply not the intended audience for this novel. However, Martel has a positive message that he wanted to reach a wide audience in hopes to spread peace to a world badly in need of it, so I cannot be too harsh on him. He achieved his goals for the novel, but his novel did not reach my goals for literature. Still, this was a fun read and I would recommend it. Just ask yourself, ‘why read?’ and if the cons of this review outweigh the pros, then this novel is not for you. But if you desire something that will entertain, broaden your horizons of spirituality if you don’t know much about various religions, or reaffirm your faith, well look no further. This review has been hidden because it contains spoilers. To view it, click here. I discovered early in The Life of Pi why the main character was named after a infinite number - the book is an interminable bore. This book is sort of a Rorschach test for religious belief, so here's my take. If you haven't read Pi yet and want to, the rest of my review will spoil it for you, so be warned. The story is told in 3 parts. The opening is a reflection back on Pi's childhood at the zoo in Pondicherry. During this segment, he tells us that his story will lead us to have faith in God, a I discovered early in The Life of Pi why the main character was named after a infinite number - the book is an interminable bore. This book is sort of a Rorschach test for religious belief, so here's my take. If you haven't read Pi yet and want to, the rest of my review will spoil it for you, so be warned. The story is told in 3 parts. The opening is a reflection back on Pi's childhood at the zoo in Pondicherry. During this segment, he tells us that his story will lead us to have faith in God, and that the next part of the story "has a happy ending." In the next section of the book, Pi is on a boat that sinks. His family dies and he floats on a lifeboat with several animals including a very dangerous tiger. At first, the tiger is hidden from Pi's view, but as he becomes more desperate to survive and more willing to stretch the boundaries of his civilized nature, the tiger emerges and the two survive together. The tiger is symbolic of Pi's animal nature, which allows him to resort to whatever he must do to survive such a harrowing experience. He resorts to cannibalism, eating feces, and several other disgusting things in his efforts to survive, and advises the reader not to judge him harshly. In the meantime, he is performing religious rituals that he makes up and says that God helped him survive. My reading of this was fairly dark and I'm assuming this was tongue in cheek. He talks in one breath about atrocities and in the next about God saving him. It struck me as the opposite of Martel's stated intent to make someone believe in God; rather, he was making fun of people who do. Pi finds an island of algae where he floats for several days. It appears to be beautiful and a respite from his troubles - in actuality, it's an ugly, horrible place where innocent, peaceful creatures are gobbled up by the tiger, and Pi is happy for them to be sacrificed. Pi's feet are burned by the ground. Fruit has teeth. Nothing is at it seems. In my opinion, the island is a representation of the promise of organized religion. It looks beautiful and promises respite from grief and sorrow, hunger and despair. But in actuality, beliefs divide us; people are killed for religion. Many times we float "alone" but for the presence of God, or we face illness, pain, death, despair. We are left to ask ourselves why God has abandoned us if our faith is not strong. What should be good turns hideous. In the final section, Pi leaves the island and is rescued. The men who come to interview him are told the story of Pi's journey to safety, and they don't believe him. Pi at first tells them that they should take his story on faith, much like we take our religion beliefs and Biblical teachings on faith. When the men are not satisfied about Pi's account, he changes his story so that it's easier for the interviewers to understand - saying that each animal actually represented a person. Which is true is left open to the readers interpretation. Pi tells of the atrocities he committed, and the atrocities committed by the other survivors. He explains how he murdered one of his crewmates to survive. Then, after the other man's death, "Solitude began. I turned to God. I survived." It's over the top ironic - he only turns to God AFTER he murders someone! If he hadn't committed a murder, he would have been killed by the other man. God comes into play after there is nothing to fear. Pi asks the interviewers which story they prefer - the cleaned up version with the animals, or the version with the people committing murders and atrocities against each other. They prefer the animal version. Pi says, "And so it goes with God." We prefer the nicer version, the cleaned up version. Not the version where God leaves us to struggle and we suffer, but the version where love triumphs and God stands beside us. The "happy ending" is one that is manufactured - Martel's truth seems to be that we people of faith are dupes; if only we would look at the darkness, we would see the humanity in it. He fails to understand that that is exactly the point of faith. This review has been hidden because it contains spoilers. To view it, click here. Once, while riding the bus, I told a friend I hated this book. A guy I'd never met turned around to tell me that he was shocked and this was a beautiful book. I can sum up my hatred of this book by saying this: At the end of the book a character asks "Do you prefer the story with animals or without?" I can say with conviction I prefer the story without the animals--the stupid, boring, symbolic animals. On the surface, it's the story of a 16 year old Indian boy named "Pi" who, when he and his zookeeping family decide to transplant themselves and some animals to Canada, ends up stranded on a lifeboat with a hyena, a zebra, an orangutan, and a 450-lb Bengal tiger named "Richard Parker." Don't let the Rudyard Kipling-ness of the plot fool you! In reality, this book is an examination of faith in all its forms. Young Pi loves God, and to prove it he becomes Christian and Muslim in addition to his nat On the surface, it's the story of a 16 year old Indian boy named "Pi" who, when he and his zookeeping family decide to transplant themselves and some animals to Canada, ends up stranded on a lifeboat with a hyena, a zebra, an orangutan, and a 450-lb Bengal tiger named "Richard Parker." Don't let the Rudyard Kipling-ness of the plot fool you! In reality, this book is an examination of faith in all its forms. Young Pi loves God, and to prove it he becomes Christian and Muslim in addition to his native Hinduism. He also loves animals, and much of the book examines animal psychology and its relationship to human psychology in a vibrant, interesting way. This book had me asking questions about my life, my beliefs, and my society on just about every page....and when the reader gets to the end (which I won't spoil here), the reader is forced to ask themself the kind of person they really are. If ever there was a novel that could be called a litmus test, it's this one. "The Life of Pi" will, at the very least, entertain through its sharp storytelling, but it can also help a reader examine how they see the world - and isn't that the point of great literature? "I felt a kinship with him. It was my first clue that atheists are my brothers and sisters of a different faith, and every word they speak speaks of faith. LIke me, they go as far as the legs of reason will carry them - and then they leap." "But I don't insist. I don't mean to defend zoos. Close them all down if you want (and let us hope that what wildlife remains can survive in what is left of the natural world). I know zoos are no longer in people's good graces. Religion faces the same problem. Certain illusions about freedom plague them both." "And so, when she first heard of Hare Krishnas, she didn't hear right. She heard 'hairless Christians', and that is what they were to her for many years. When I corrected her, I told her that in fact she was not so wrong; that Hindus, in their capacity for love, are indeed hairless Christians, just as Muslims, in the way they see God in everything, are bearded Hindus, and Christians, in their devotion to God, are hat-wearing Muslims." "Christianity is a religion in a rush. Look at the world created in seven days. Even on a symbolic level, that's creation in a frenzy. To one born in a religion where the battle for a single soul can be a relay race run over many centuries, with innumerable generations passing along the baton, the quick resolution of Christianity has a dizzying effect. If Hinduism flows placidly like the Ganges, then Christianity bustles like Toronto at rush hour. It is a religion as swift as a swallow, as urgent as an ambulance. It turns on a dime, expresses itself in the instant. In a moment, you are lost or saved. Christianity stretches back through the ages, but in essence it exists only at one time: right now." This one could have been a winner for me if it had been less descriptive. When you strip away the unnecessary animal facts, you do find an incredibly unique survival story, but unfortunately this isn’t a book I’m ever going to want to re-read, or re-listen, rather. Honestly? The movie is much more enjoyable. People often see me walking down the street, casually, minding my own business, and they always stop and ask me, "Yo, Justin, what are you reading these days?" And I'm always happy to stop and engage in conversation about what I'm reading, and I share a few thoughts about it. "Yeah, it's not bad. Pretty good so far." "Really enjoying it! Better than I expected!" "Oh man, it's alright I guess. Kinda slow." I like to keep my comments pretty general in nature. Also, that never actually happens to me. People often see me walking down the street, casually, minding my own business, and they always stop and ask me, "Yo, Justin, what are you reading these days?" Also, that never actually happens to me. Anyway, I did tell a few people I was reading Life of Pi and every singe one of them said, "Oh yeah, isn't that the book about the guy and a tiger on a raft?" 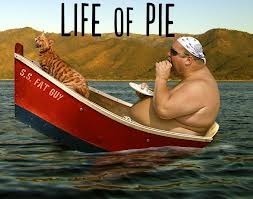 Because that's what everyone thinks of when they think of Life of Pi. The book about some guy on a boat with a tiger. And they are absolutely right. I mean, if you needed a one sentence synopsis of Life of Pi you would say it's about some dude floating around on a raft or a boat or something with a tiger, and that would be it. You nailed it. Except Pi isn't on a lifeboat with Richard Parker (the tiger) until about halfway through the book. So that synopsis isn't enough because there is so much more going on in Life of Pi. So much more. So let's start with the biggest reason this book gets a coveted five star rating from me: I got to learn all about zoos and the animals that inhabit them. I'm kidding, a little, kind of, but the beginning of the book is just fascinating to read. Pi weaves in stories of his childhood with facts about India, religion, animals, zoos, family, and all kinds of other stuff. One scene in particular that I loved was when Pi was trying to determine his religion and the choice that follows. Just humorous, insightful stuff all around, and I forgot all about what the book is really about. I won't remind you. The story moves from all of that stuff, like a memoir I guess, to an adventure story. Now, I'm not a huge adventure story kind of guy, but the writing was so engaging and the audiobook narration was so intoxicating that I kept plugging along with all the craziness Pi finds himself in. It gets pretty violent and a little disgusting st times, but you're reading about wild animals and about a guy who is caught in a horrible tale of survival. It's not too bad. Then, the end of the book comes along, and oh my god I can't even tell you about the end of the book. It's awesome though. Just trust me on this one if you haven't read it already. You've probably read it already. You've probably seen the movie, too, you awesome person you. Look st you go. I'm gonna watch the movie as soon as possible. Looking forward to it. This was a fantastic audiobook that I spent almost s month listening to during my morning commute. Whatever I pop in next has a tough act to follow. Life of Pi is a Canadian fantasy adventure novel by Yann Martel published in 2001. The protagonist is Piscine Molitor "Pi" Patel, an Indian boy from Pondicherry who explores issues of spirituality and practicality from an early age. He survives 227 days after a shipwreck while stranded on a lifeboat in the Pacific Ocean with a Bengal tiger named Richard Parker. Life of Pi, according to Yann Martel, can be summarized in three statements: "Life is a story... You can choose your story... A story with God is the better story." I'm a huge fan of Yann Martel's allegorical story. 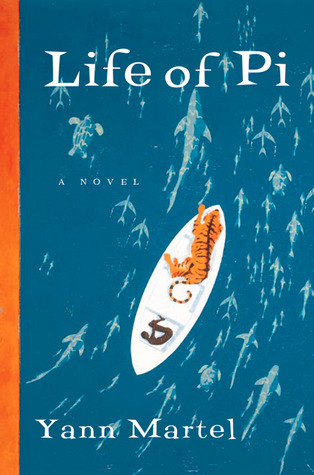 I read Life of Pi shortly after it had won the Booker, heavily intrigued by the story's improbable premise (boy in lifeboat with Bengal tiger). I was keen to see how the author could pull this off. But pull it off he did, taking me back to a wondrous childhood of adventure tales and fables. And you are welcome to whack me over the head with a leather-bound copy of War and Peace, but I am such a sucker for exotic book covers! Please read the book, do I'm a huge fan of Yann Martel's allegorical story. This is not a story of a boy and his BFF tiger. This is nothing like Calvin and Hobbes. The tiger is nothing like Tigger or Lassie. This is not a YA book. That is worth pointing out I think, because the movie poster and trailer gave me this impression. My initial thoughts on Life of Pi is that it is a book that demands to be read slowly due to a rambling nonlinear narrative in the first few chapters. Actually it is not, it can be read fairly quickly once you hit your stride with i This is not a story of a boy and his BFF tiger. My initial thoughts on Life of Pi is that it is a book that demands to be read slowly due to a rambling nonlinear narrative in the first few chapters. Actually it is not, it can be read fairly quickly once you hit your stride with it. Any way, the novel got off to a slow start for me though I found the intro "Author's Notes" immediately appealing. Initially I was also a bit confused about which part is narrated by the author and which by Piscine "Pi" Molitor Patel‎ the book's protagonist. That sorts itself out after a while as I settled into the author's narrative style and the book's structure. There are some expositions about about running a zoo and animal psychology which I find very interesting. I certainly know some people who believe zoos are immoral and all the caged animals should be set free, this book presents a plausible case for why this may not be such a good idea and that the animals are unlikely to be grateful to the liberators. I am not normally a fan of infodumps, but these expositions are affably written and mostly non-technical. Once the main part of the story begins, where poor Pi is cast away on a life boat with some wild animals the books becomes very engaging and I was devouring his adventure and could not wait to find out what happen next. The ocean adventure part of the book is really a riveting read. As Pi settles into his life on the life boat the book becomes trippy and metaphysical in parts. If you read online discussions about this book you will find several interpretation of what it all means and what really transpires in the book. To go into too much detail about this ambiguous aspect of the book would risk spoiling the book for potential readers, suffice to say that the book left me with plenty of food for thought which is still swirling in my head as I write. "I will not die. I refuse it. I will make it through this nightmare. I will beat the odds, as great as they are. I have survived so far, miraculously. Now I will turn miracle into routine. The amazing will be seen every day. I will put in all the hard work necessary. Yes, so long as God is with me, I will not die. Amen." Even if you are entirely irreligious you can still appreciate the eloquence of the writing. This book is often classified as a fantasy but I wonder if it is actually more scifi? Some strange places and things are rationalized with scientific assumptions, particularly a mysterious island that appears in the last section of the book. Some people are understandably frustrated and annoyed by the epilogue of the book where everything seems to turn upside down, or not depending on how you want to interpret this part of the book. It surprised the hell out of me but adds to the enjoyment of the book, and I don't think it invalidates anything that goes on in the preceding chapters. Looking at other Goodreads reviews Life of Pi seems to be divisive among its readers. Quite a few people find the book pretentious and not as intelligent or profound as the author presents it to be. They may be on to something, I don't really know. Oftentimes I find the reviewers just as pretentious as the book they are criticizing, is this a case of an eye for an eye? Personally I just wanted it to be entertaining and interesting and it meets these criteria in spades. A little pretentiousness does not bother me as long as the book is a good read. I have no qualms at all about recommending this book, may be you will love it like I do, may be it will make you mad and you will throw it at the wall. I really don't know how it will be for you. Totally worth a shot in my opinion. UPDATE: Some will see this as good news...there is a movie based on this piffling 21st-century Kahlil Gibran ripoff, directed by Ang Lee, coming out...trailer here. As one can readily see, no smarm or treacle has been spared. The whole world has a copy of this book, including me...but not for long. Over 10,000 copies of this on LT, so how many trees died just for our copies alone? Don't go into the forest, ladies and gents, the trees will be lookin' for revenge after they read this book. There is UPDATE: Some will see this as good news...there is a movie based on this piffling 21st-century Kahlil Gibran ripoff, directed by Ang Lee, coming out...trailer here. As one can readily see, no smarm or treacle has been spared. There is no question that Martel can write lovely sentences: "Those first hours were associated in my memory with one sound, not one you'd guess, not the yipping of the hyena or the hissing of the sea: it was the buzzing of flies. There were flies aboard the lifeboat. They emerged and flew about in the way of flies, in great, lazy orbits except when they came close to each other, when they spiralled together with dizzying speed and a burst of buzzing." (p118, paper ed.) Good, good stuff, nicely observed and handsomely rendered, and not enough to lift this dreary pseudo-philosophical rehash of Jonathan Livingston Seagull into greatness. Piscine Molitor (Pi) Patel does not wring my heartstrings on his spiritual quest across the vasty deep, accompanied by a tiger named Richard Parker, to a carnivorous island, thence to Mexico to answer to a pair of noxious Japanese stereotypes and, ultimately, to Canada...sort of an anodyne for all the adventure he's been through, the way the author presents it. If I were Canadian or Torontoid (or whatever they call themselves), I'd be livid with fury over this crapulous insult to my homeland. But hey, I'm Texan and Murrikin, if they don't care enough to run this yahoo outta town, why should I? The yodeling of joyous awakening that fogged this book on its debut..."a story to make you believe in the soul-sustaining power of fiction" ugh! ; "could renew your faith in the ability of novelists to invest even the most outrageous scenario with plausible life" oh really? ; "a fabulous romp through an imagination by turns ecstatic, cunning, despairing and resilient" *retch*...made my "oh yeah?" follicle erect its sturdy little hair, so I avoided it. But, in all fairness, people I love and respect lived it, so it's a mitzvah to read it, right? Public notice: My spiritual debt to the opinions of others is, with the reading of this ghastly book, herewith Paid In Full For Good. Most strongly and heartily NOT RECOMMENDED. As near as I can say, this should probably be 3.141592654 stars. I was disappointed in this novel, but not really surprised at this. Rather I was somewhat prepared for it, because the ratings for it, specifically by my GR friends and reviewers (people I follow), are all over the place. While over half of these ratings are good (4s and 5s), fully 28% are bad (1s and 2s). This is the highest percent of bad ratings for a Booker award winner since 2000 among these people. And, as indicated by my own r As near as I can say, this should probably be 3.141592654 stars. And, as indicated by my own rating, there were things I liked about the book. But before I get into any more detail, I will warn readers that there are some mild spoiler type comments in what follows. Most of these are general comments about the structure or message of the book. In one place where I say something very specific about the plot I have used the normal spoiler alert. So … what I liked about the book was (surprise) probably most of it. I found the main storyline taking place in the boat not only an enjoyable read, but even quite believable. I would be willing (if most of the novel had been published as an actual memoir by a sea disaster survivor) to believe even the bit about the companion that he survived with. I thought the explanation given of how the relation developed between Pi and his feline companion made enough sense to believe. But there were a number of things about the book that I really disliked. (1) The Author’s Note which begins the book is probably something that many readers didn’t even read, since I know some don’t read prefatory material in books. I always read this stuff, and I was quite confused when I read this note. Of course I assumed it was a genuine comment by Martel, but finally realized that it is itself part of the fiction. Besides being confused by this material, I was amazed that the author seemed to be claiming that the story he was about to relate would make me believe in God. But more on that later. - Chapter 85 (“Once there was lightning …”) seems like an obligatory couple hundred words on something that might happen at sea in a lifeboat, but plays no part in the story; rather, it simply provides a setting for Pi to blather on about how the experience of a close lightning strike swept him into paroxysms of wonder about divinity, God, etc. etc. - Chapter 86 relates the (unlikely in the extreme) incident of almost being run over by a gigantic tanker (aimed straight at them from thousands of miles away no doubt), which of course has a crew to whom the lifeboat is entirely invisible. - Chapter 88 (One day we came upon trash …) seems like a meaningless mention of the garbage floating in the Pacific – but it gives Pi the opportunity to pick up a corked (empty) wine bottle, put a note in it, and launch it back into the ocean and out of the story. - Chapter 89. Now, all of a sudden, the narrative shifts abruptly, with no explanation. Up to this point it has been an interesting survival story, in which Pi is getting along pretty well, Richard Parker has been “tamed”, Pi seems to be having no problem catching both fish and rain water to keep himself and R.P. eating and drinking. All of a sudden he and R.P. are both descending rapidly towards first blindness and then death. - Chapter 90. Here the nonsense really starts. The blind Pi’s boat amazingly bumps into another lifeboat being rowed by another blind man in the middle of the Pacific Ocean! This is a rather long chapter, filled with conversation between these two blind men, which I’m afraid went right over my head. The only thing I see it adding to the story is that Pi eventually gets some extra water from this man’s boat, and R.P. gets an extra several meals. 1. Much of the story was an enjoyable read for me; but much was irritating, as I’ve explained above. One thing I can be thankful for is that, although I could have spent the time reading any number of books I would have enjoyed more, reading Life of Pi at least saved me from spending money on the movie. 2. I have to believe that many of the things I found irritating were actually felt to be strong points by the Booker voters. To me, these unusual/irritating aspects of the novel often felt gimmicky. This extends even to the first person narrative, which I think was likely a point in favor of the book’s winning, but which I’m not sure I enjoyed as much as most people apparently did. 3. I’m pretty sure that many people who enjoyed the book were helped on that path by their view that the story, somehow or other, made them feel good about their religious outlook. Now this aspect of the book would certainly not appeal to me, but my perception that the book contained those ideas didn’t keep me from reading it. I have no problem with reading fiction about people who have different religious views than mine, and Pi certainly seems to qualify on that count. The lower you are, the higher your mind will want to soar. It was natural that, bereft and desperate as I was, in the throes of unremitting suffering, I should turn to God. So tell me, since it makes no factual difference to you and you can’t prove the question either way, which story do you prefer? Which is the better story, the story with the animals or the story without animals? Mr. Chiba: The story with animals. Mr. Okamoto: Yes. The story with animals is the better story. Pi: Thank you. And so it goes with God. Oh finally I get it. I read this a couple of years ago and it was supposed to be all about God. But no, it's not a religious allegory at all. It's about the collapse of communism. As the ocean liner of communism sinks under the weight of its own massive incompetence (a good idea, but the captain was drunk and the crew were sticky-fingered rascals), you leap overboard, clamber on to the only available boat (capitalism) only to find that there's a giant tiger on board which will eat you unless you Oh finally I get it. I read this a couple of years ago and it was supposed to be all about God. But no, it's not a religious allegory at all. It's about the collapse of communism. As the ocean liner of communism sinks under the weight of its own massive incompetence (a good idea, but the captain was drunk and the crew were sticky-fingered rascals), you leap overboard, clamber on to the only available boat (capitalism) only to find that there's a giant tiger on board which will eat you unless you can keep feeding it your hapless fellow-creatures. “The world isn't just the way it is. It is how we understand it, no? And in understanding something, we bring something to it, no? Life is a story and the story of Pi Patel is one of the most extraordinary stories that I have read in awhile. The story begins before the fateful shipwreck that makes up most of the novel. Pi is a little boy who lives in India on a zoo that his father owns. Pretty much the greatest place to live as a kid is on a zoo. After watching We Bought a Zoo and reading this book I really want to live on a zoo, even though I would have a very hard time NOT petting the animals. 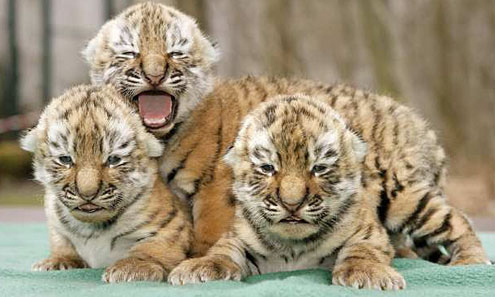 The talk that the father gives Pi and his brother Ravi is one I would also need cause I mean tigers are just so cute! 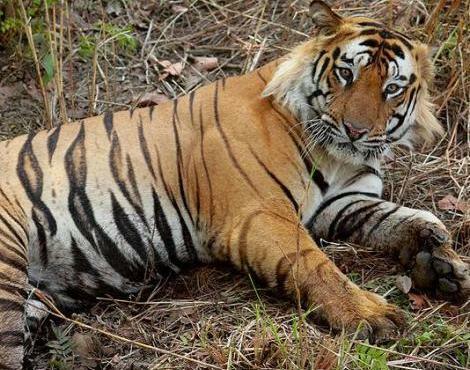 That leads to this remarkable story of how a boy manages to survive not only a shipwreck but also being in a lifeboat with a huge Bengal Tiger and several other animals. But before that all happens I found the beginning of the book quite interesting. I didn’t realize that this book dealt mainly with the theme of faith and belief. While Pi is growing up he explores different forms of faith and instead of picking one decides to be Catholic, Islamic, and Hindu all at the same time. Being Catholic I found the scene of him first talking to the priest really mind opening in a way. Pi questions a lot about the religion at first having a hard time imagining and having grown up Catholic I never asked those questions myself but when he asked them I found myself thinking, “you know now that I think about it some of this doesn’t make sense.” But that’s the point of faith I guess it doesn’t all have to make sense. With all the changes occurring in India Pi and his family choose to move to Canada and take most of the animals from the zoo with them to sell to zoos mostly in America. 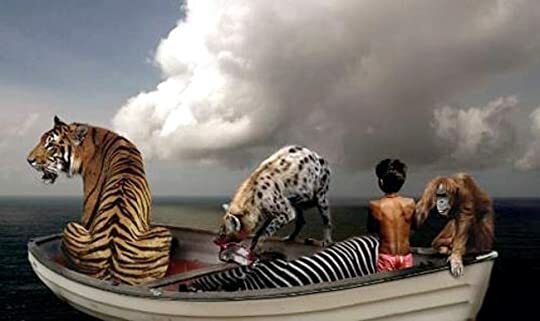 On the way the boat sinks and Pi is left alone in a lifeboat with a tiger, hyena, zebra, and orangutan. If it wasn’t for Pi’s internal conflict especially with how to deal with Richard Parker this book could have easily gotten very dry and boring as he just continues to float and going through a very repetitive day. Yet never once did this book get boring or even repetitive. While on the boat Pi has to come to face his fate, death by water or death by tiger, and also his faith. But even when things seemed the grimmest Pi never stopped fighting for his life. This book was very beautifully written and moving. You really connect with Pi and hurt with him and love with him. You love the tiger that at any moment could kill Pi but I really believe what Pi says that without the tiger he would have died. Richard Parker gave him a reason to live, without him Richard would die, and if Richard died he would forever be alone. The parting of Pi and Richard was pretty much heart wrenching even though it was probably for the best. My favorite line of the entire book for many reasons. Ultimately this book is about faith and at the end about taking a leap of faith. After reading the whole book the last few chapters almost tore me apart. I don’t want to give away what happens but it just makes your heart fall. It ends with a big question mark and it is up for you to decide. Think one-way and the story changes for you and it isn’t at all what you thought it was. I decided to take a leap of faith and believe even when it seems impossible and I think that is truly what this book is about and what you take out of it is for you yourself to decide. Just like faith it can’t decide for you. Will you question and leave faith behind or let it lead you when all seems to change? Yann Martel is the author of Life of Pi, the #1 international bestseller and winner of the 2002 Man Booker (among many other prizes). He is also the award-winning author of The Facts Behind the Helsinki Roccamatios (winner of the Journey Prize), Self, Beatrice & Virgil, and 101 Letters to a Prime Minister. 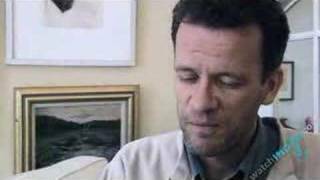 Born in Spain in 1963, Martel studied philosophy at Trent University, worked at odd jobs Yann Martel is the author of Life of Pi, the #1 international bestseller and winner of the 2002 Man Booker (among many other prizes). He is also the award-winning author of The Facts Behind the Helsinki Roccamatios (winner of the Journey Prize), Self, Beatrice & Virgil, and 101 Letters to a Prime Minister. Born in Spain in 1963, Martel studied philosophy at Trent University, worked at odd jobs—tree planter, dishwasher, security guard—and traveled widely before turning to writing. He lives in Saskatoon, Canada, with the writer Alice Kuipers and their four children.